So a few weeks ago I was lucky enough to get gifted this product. 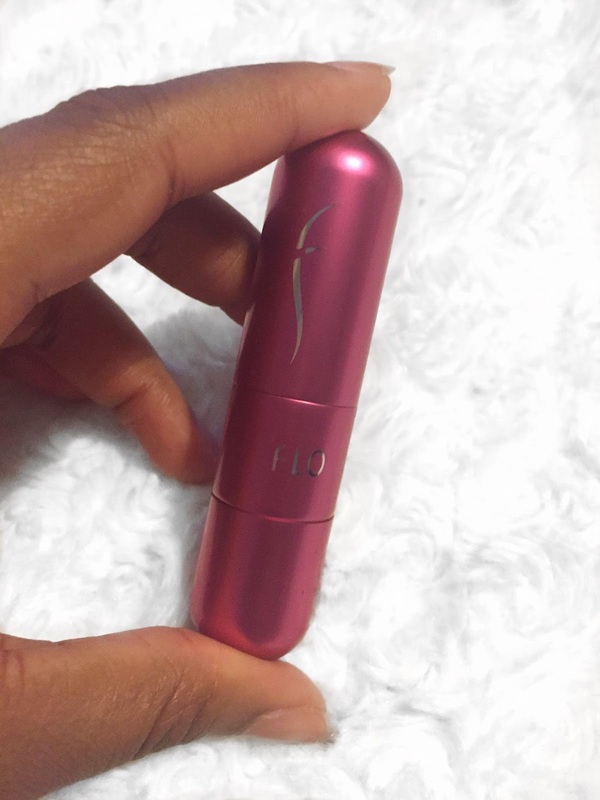 The people at FLO Accessories were kind enough to send me their Fragrance Atomizer as well as their Celebrity LED Mirror, which I will be reviewing for you today. 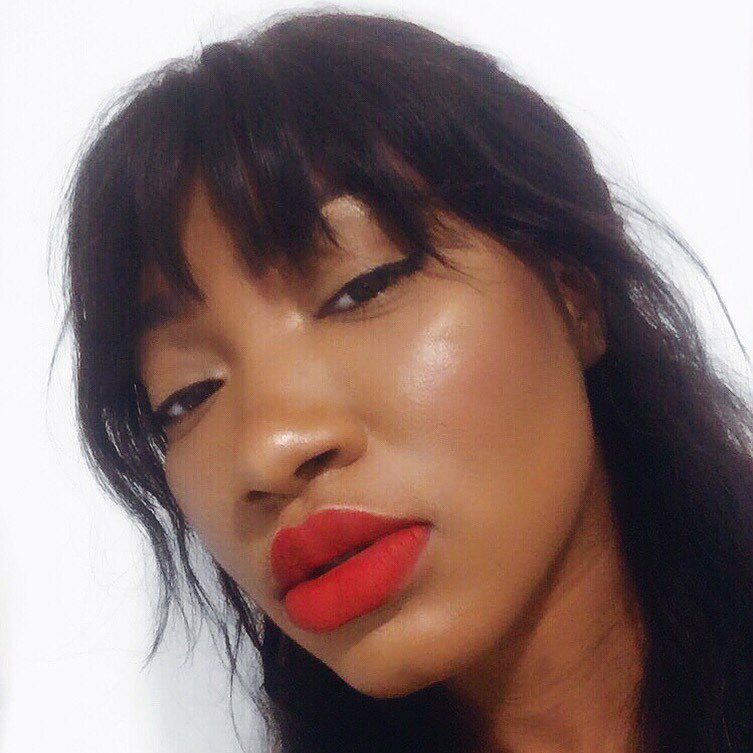 I was super excited and eager to review this product but I knew that I had to really use this product long enough in order to give you guys my genuine and accurate review of it. So that's the reason why I'm posting this about 3 or 4 weeks after I received it. Over the past few weeks I have been travelling a lot so this came at the perfect time. It gave me the chance to use it, drop it, refill it, pass it around and throw it around. I got the best use out of it by using it extensively. If you haven't heard of FLO Accessories, they are a company that produces stylish beauty accessories mainly for travel and on the go. Aside their fragrance atomizer and LED mirror, they also sell things like LED Tweezers, Perfume Necklace (which I need to have), Travel USBShavers, the list goes on. Most of their products are inexpensive so if you're travelling this summer and looking for travel accessories to take with you, you should definitely check them out. Let's talk about the atomizer first because this is what I was most eager to try. The reason why I love this fragrance atomizer is that now I can have my favourite perfumes with me on the go anywhere and everywhere. I can have it with me on the plane, at the gym, at work or out at lunch with the girls. Because most of my perfumes are 100ml and up I NEVER carry them around and I don't think anyone does. It's refillable so you can switch up your perfumes and carry different scents around with you. 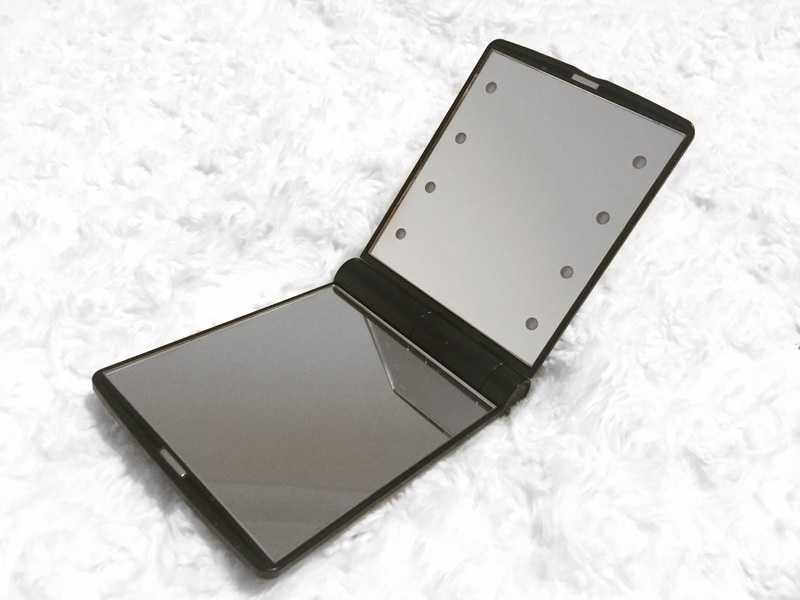 It's very sleek, stylish and small enough to fit into the tiniest clutch/pocket. 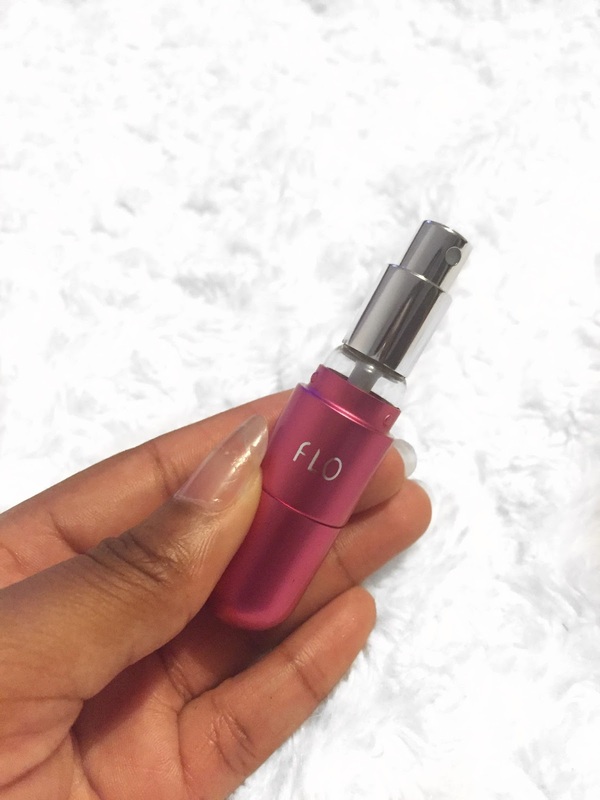 It's very durable and has a tight clasp so your makeup won't spill or evaporate and rest assured this little capsule won't break unless of course you threw it against a brick wall or an oncoming train :p. The Fragrance Atomizer retails for £11.95. You can check out their YouTube page for a video on how it works here. Okay how many times have you tried to put on mascara in a car, in the dark and poked yourself in the eye one too many times? I know I have! So this little thing right here is a lifesaver life changer. 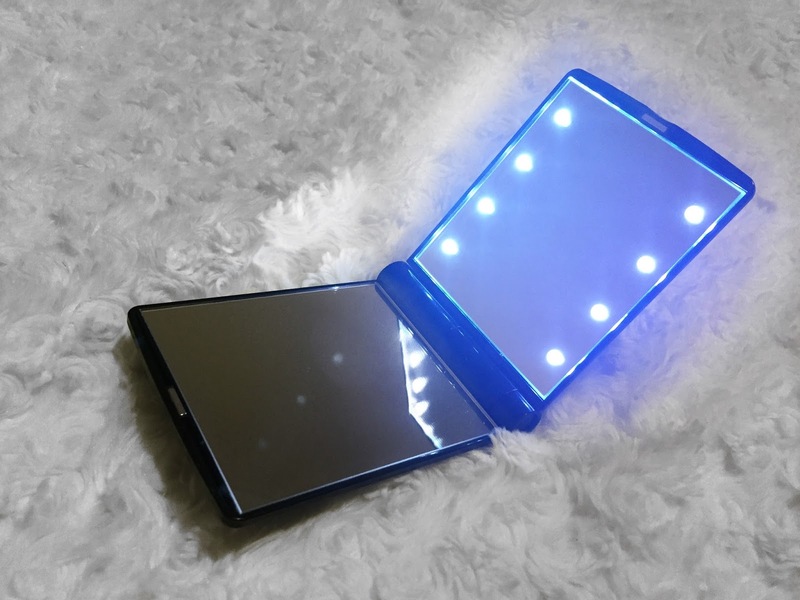 This is not just your regular hand held mirror, it comes fitted with LED lights around the perimeter of the mirror just like the celebrity wall mounted mirrors you see in movies. It also comes with two faces, one normal and the second a magnifying side for when you want to see things a little bit up close. I don't know about you but I have no intentions of seeing my pores up close. They're fine just where they are, 600ft away from my vision lol. 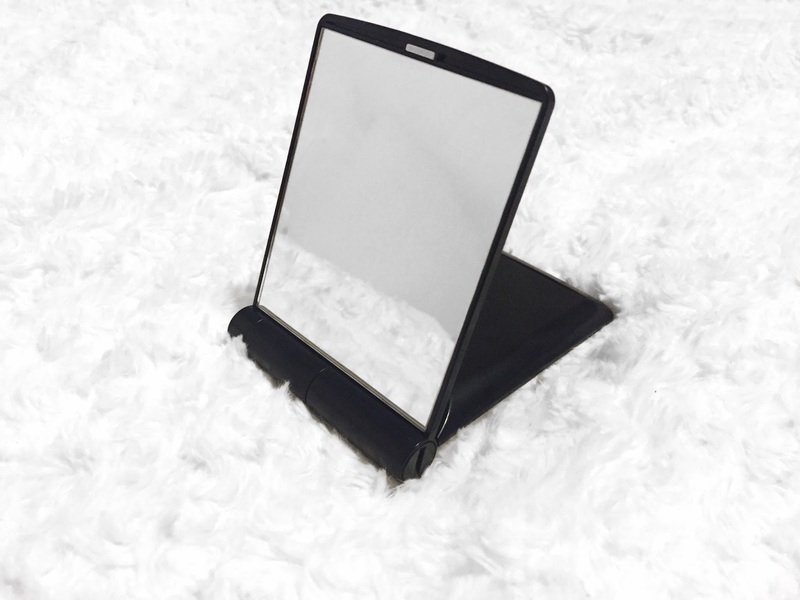 The mirror is small enough to fit into your purse so you can take it with you when you're travelling or out about in town. It is battery operated so you can change it up easily whenever it runs out. It currently retails at £8.95 on their website. I'm planning on doing another giveaway in about a month or so and thinking of collating all the things I currently love into one bundle. Let me know if you're interested in these products as well as the giveaway. Follow me on my social media (twitter, instagram, facebook, snapchat (sylvia_laurita), bloglovin') to get the latest update on the giveaway as well as my blog and if you enjoyed this post, don't forget to SUBSCRIBE for posts like this. Thanks for taking the time to read this and I LOVE you for stopping by. 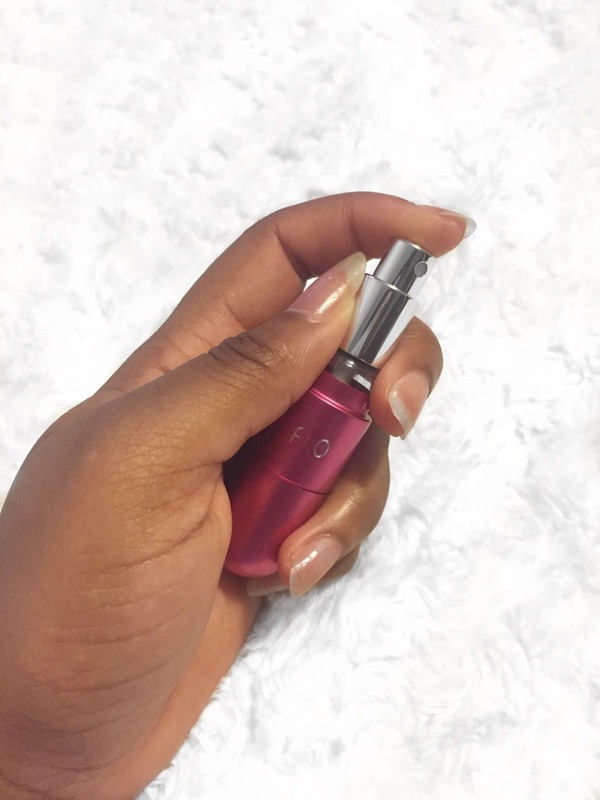 The key benefit of having a fragrance atomizer is that, anybody can refill that atomizer and carry with him/her in any place. It's certain that you can't carry your 100ml bottle with you. I think that's the best thing to taste different fragrance at different times. © Lauritaonline | All rights reserved.